The Muller Center at Newberry College helps students connect academic learning and civic involvement. Offering opportunities for volunteerism, leadership development, vocational reflection, and community-based inquiry, the Center encourages students to explore questions of civic responsibility; to ask how their skills, knowledge, and interests might be placed in service to the common good; and to reflect upon pursuing a life of meaning. The Center also fosters campus and community conversations about the urgent moral dilemmas facingsociety in the 21st century. We match both individuals and student groups with volunteer opportunities, from one-time events to long-term placements. Whether you like working with children or elders, the arts or animals, the soil or computers, we have places you can serve. Civic Engagement (CE) Courses: A key element of the Newberry Core Curriculum, CE courses pair civic service with curricular learning. We assist students with placements and facilitate conversations about how to getthe most out of community-based learning—and how to give their most too. Travel Grants For students who are doing off-campus coursework that has a civic or service component, competitive travel grants are available to offset costs. Muller Student Research Fellowships: A highly selective program, Muller Fellowships support students as they research, design, and implement a project that exemplifies at least one of the core values of the center: ethics, vocation, civic engagement.You might set up a campus kitchen, bring music to elementary schools, or offer your graphic design skills to a local non-profit. Lectures & Symposia: The Muller Center, in partnership with entities both on and office campus, sponsors lectures and symposia featuring leading voices on the pressing moral issues of our day. Vocation Conference: In partnership with the ELCA, the Center will host a biannual vocational discernment conference. In keeping with the Lutheran liberal arts tradition, the Muller Center at Newberry College seeks to promote and practice the active engagement of all members of Newberry College and its community partners in moral discourse, vocational reflection, and civic involvement. We inhabit a world of limited resources, competing needs, imperfect people, and complex social structures. Ethics equips us with the capacity to ask critical questions of the difficult moral dilemmas facing our world; to listenopenly to a variety of perspectives; to develop our own responses; and to act with awareness of self and others. An ethical life oriented toward the common good commits itself to the ongoing cycle of questioning, listening, responding, and acting. In the U.S., citizenship carries rights as well as responsibilities. As citizens we are called to pursue the common good. Civic engagement involves acting upon a sense of responsibility to our communities—from the local to the global. Civic engagement encompasses knowledge of the forces that shape communities, skills to participate effectively in collaborative efforts, awareness of commonalities and differences, critical reflection on self and others, and action to identify and address issues of public concern. The work of the Muller Center is informed by some key guiding principles about education, community, and citizenship. In the Lutheran liberal arts tradition, education involves more than simply acquiring skills and knowledge. The Muller Center strives to help Newberry fulfill its mission to connect academic learning with personal development, vocational reflection, and civic engagement.  Newberry College strives to be a part of its surrounding community. Community members with whom we work are genuine partners, serving as colleagues and mentors. The Centeraims for collaborations that are reciprocal from start to finish. In a world that seeks to define us as consumers, we at Newberry want to help students consider what it is to be an engaged and responsible citizen, an identity that intersects with the Lutheran understanding of vocation—that in whatever we do, we do so with the need of neighbor in mind. Dr. Hughes earned her Ph.D. in Theological & Philosophical Studies from Drew University; M.A. and M.Div. degrees from Vanderbilt University; and a B.A. from Wofford College. Dr. Hughes’s leadership is grounded in the conviction that liberal arts colleges are true vocational schools, equipping students not simply with the knowledge and skills they need to succeed—but with capacities for creativity,critical insight, and ethical discernment to place their learning in service to the common good. The Muller Center at Newberry College proudly announces its Muller Student Research Fellows for the 2017-18 academic year. Benjamin Herring, Sarah Johnson and Mariah Lee will each spend a semester conducting research and using their findings to develop civic projects. Herring, a rising senior from Hopkins, S.C., will use a summer internship in Quito, Ecuador as the foundation for his project. Combining on-the-ground experience with research, he seeks to develop a strategic management system specifically for international non-governmental organizations. Locally he will work to educate about the global aspects of civic engagement. across the lifespan. A rising junior and a South Carolina Teaching Fellow from Ruby, S.C., she will focus specifically on the question of how to increase access to books and reading in the home, both to strengthen early literacy in very young children and to address the loss of reading skills when students are not in school over the summer. Lee, a rising sophomore from Seaford, Del., will conduct laboratory research in microbiology this summer at the University of Georgia. Upon returning to Newberry, she will investigate vaccination rates among elderly populations in Newberry County and develop educational materials on the importance of community-wide vaccinations for preventing the spread of disease.